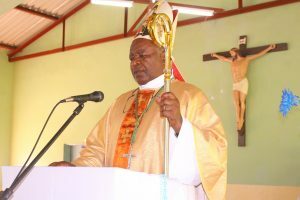 The Bishop of the Catholic Diocese of Njombe, Right Reverend Alfred Maluma says the visit of Tuntufye Choir to the diocese in Tanzania is a way of spreading the gospel through songs and sustaining the good relationship between Njombe and Karonga dioceses. Speaking during the Eucharistic celebration marking the Solemnity of Christ the King, Bishop Maluma commended Tuntufye choir for the good singing using traditional instruments as opposed to electronic ones such as keyboards. He added that singing using drums shows the tradition of a particular society and during Eucharistic celebrations the congregants are able to praise Christ through songs and the word of the Lord because the songs are sung in the way which can be understood by everyone. “Am very happy and impressed with the traditional singing of Tuntufye Choir. Singing is part of prayer; therefore, I encourage them to continue with such tradition”, he explained. In his remarks, one of the members of Tuntufye Choir Campion Mkolongo described the visit as of great value because it has transformed our spiritual lives and also our attitude towards contributing to the development of the Church. 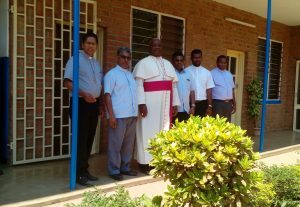 “Many thanks to the Bishop of the Catholic Diocese of Karonga, our visit to Njombe Diocese has helped us fill the gaps we have in our spiritual life,” Said Mkolongo. Tuntufye Choir was formed by the Bishop of the Diocese of Karonga to be the model of all choirs in the diocese. Sixty four Christians of the Diocese comprised of choir members, liturgical dancers, Tuntufye Radio reporter, were part of the trip to Njombe. Tuntufye Choir spent three days in Njombe where the climax of their trip was the Sunday solemn Eucharistic celebration. 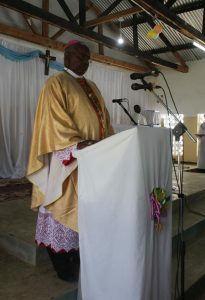 The Father Edward Kamanga led the group from Karonga Diocese. 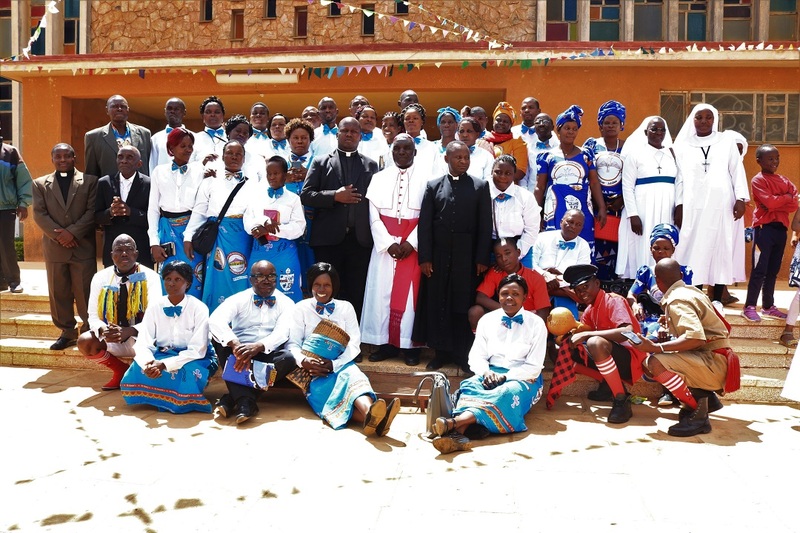 The Diocese of Njombe has 45 Parishes and 60 priests.